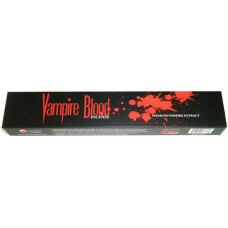 Vampire Blood Incense will add an intoxicating aroma to your home. Vampire Blood is made from a uniq.. Manufactured at a secure research facility where the solanum virus is carefully investigated. It wor..